Interim Pastors Ministry (IPM) serving, supporting, and strengthing churches in pastoral transition. Interim Pastor Ministry (IPM) serving, supporting, and strengthing churches in pastoral transition. Loving people, teaching the scriptures, coaching pastors and church leadership teams, and assisting churches in transition to become healthy and fulfil God's purpose. The Front Porch is a spiritual formation ministry as a refuge from the destructive culture of busyness. The Front Porch seeks to build relationships and encourage participation with individuals and small groups. Reaching the deaf and hearing community in Cordoba, Argentina with the good news of Jesus Christ, one friendship at a time. Pastor at Worthington Friends Church in New Kingston Jamaica. Coordinator of short term mission team to Jamaica and oversee agricultural co-op. Studying Bible and small group ministry in California. Hospital chaplain involved in visitation, encouragement, and counseling to patients and staff at The Milford Memorial Hospital in Milford, Delaware. Linda is an English language teacher in rural Northeastern Thailand. She teaches among the Isaan people, a group of people nearing 30 million. Her projects include an orphanage and Christian youth group. With the Lord’s enabling, we desire to passionately impact struggling churches in transition, bringing hope and renewed vision, so that each church will never be the same again. Luke with Missionary Aviation Fellowship (MAF) Brazil, in mechanics training with MAF Brazil in Anapolis, Brazil. He is in preparation for career service as an MAF pilot and mechanic. 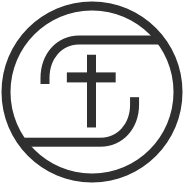 Missionary training and working with William Carey International University, whose mission is to serve front-line missionaries reaching the least reached people. We publish Christian books in the Latvian language, provide support for orphan care ministries, and help orphans and adopting families. Works along side the local church preaching and teaching at churches in the area, while also working with various ministries in Northeast Ohio and Scotland. Word of Truth Ministries is a Children’s Bible Correspondence School for children and teens (5-18). This school is FREE to all children desiring to learn about God. Our ministry includes teaching, discipling, counseling and encouraging boys and girls in their daily walk with God. Our ministry also includes a weekly childrens Bible club taught at the Tucson Chinese Christian Church and a weekly ladies Bible Study in our home. David teaches Bible courses and is working with CENTA developing indigenous leaders. Beth teaches missionary children. Ministry in South Asia to provide leadership development, teach life skills, and evangelism. Establishing and conducting after-school Bible clubs in schools and community centers for children grades K through 8. Training and disciplining others for children’s minstry. Speaking in churches, women’s retreats and conferences. To see every teenager have the opportunity to hear and respond to the gospel of Jesus Christ. Neal is the Chief Training Officer for Mission Aviation Fellowship (MAF) in the Aviation Engineering Department. MAF flies to the remote outposts in PNG, taking the Gospel and emergency medivac to many villages providing transportation services to missionaries. Lois has a prison ministry to locals in the city jail, responds to persons in crisis, visits patients at the local hospital, has weekly home group with children on our compound and ministers to our security guards. Professor of English at the American University of the Caribbean, Les Cayes Haiti, teaching English and English Composition from a biblical world view. Also working with Haitian masons with the hope of improving construction practices in order to avoid another catastrophic loss of life as in the earthquake in 2010. I teach English to children in a small area located outside Guatemala City. Also, feed children in the mountains of Guatemala both physically and spiritually though VBS and feeding programs. Serves as an English teacher in local public school, Kairos course Head Facilitator, Prayer mobilizer, and Hospice volunteer. Ministering through “Yes I Can” clubs through in-school and after-school Bible clubs, Summer Camps, and festivals. Training adults and teens worldwide to reach children for Christ. Encouraging churches and missions groups to be involved. Volunteer Chaplin conducting worship service each Sunday, Bible Study daily, devotions Monday through Friday, counseling death, dying and grief for widowed and families, and funerals as called upon. In addition to special services, communion, Passover and holiday events. Also various visitations including hospital, rehab, nursing home, assisted living room to room, apartment to apartment in independent living, and visitation of memory care unit.